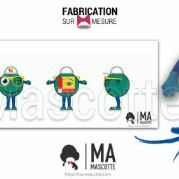 Ma Mascotte accompanies you in your projects of creation and manufacturing of custom mascots and plush toys. We produce your custom mascot from your visual (drawings, models or sketches).ours Your mascot costume can be an object, an animal, a character …. everything is possible! We strive to meet deadlines announced for making your mascot. Depending on the production schedule, they are between 4 and 8 weeks after validating the simulation. When making your custom mascot, we use sustainable materials in time. 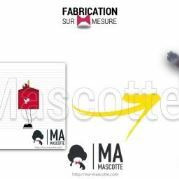 We choose to match all the different parts of your mascot: foam, fabrics, embroidery. We offer an attractive price to manufacture quality mascot. Go for the best quality / price ratio of the web. Custom plush production. 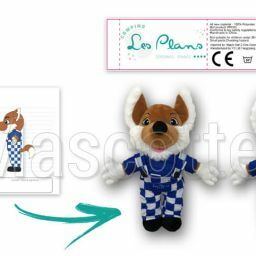 You can choose the size, design, colors, logos, style of the label to customize according to your tastes your stuffed plush. You can control the number of pieces of your choice in a minimum of 500 pieces. For an attractive price the minimum order is 500 pieces. 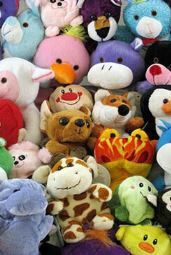 All plush toys are produced respecting the laws and standards to EN71 toys and CE standards. We provide you with a CE certificate during production. 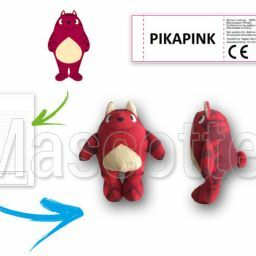 For each custom creation we realize a prototype of your plush before launching mass production. The cost of the prototype is 200 € and it is deducted when your series production is launched. Discover the latest creations of custom-made mascots for our customers. 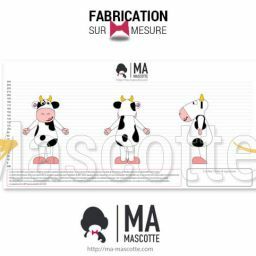 Custom Made cow TIP TOP Mascot Costume (custom made animal mascot). Custom Made Plush Toy fox CAMPING LES PLANS (custom made animal plush toy). Custom Made clover PMU GABON Mascot Costume (custom made object mascot). Custom Made Plush Toy cat CLERMONT-COURNON FAIR (custom made animal plush toy). Custom Made selfie box WALTABOX Mascot Costume (custom made object mascot). 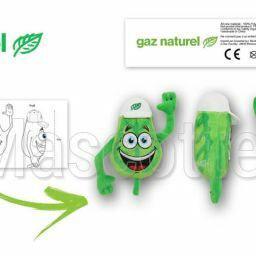 Custom Made Plush Toy leaf GAZ NATUREL (custom made object plush toy). 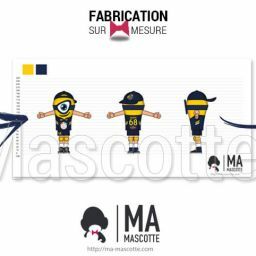 Custom Made minion VOLLEY-BALL NANTES Mascot Costume (custom made character mascot). 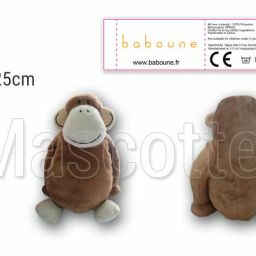 Custom Made Plush Toy monkey BABOUNE (custom made animal plush toy). 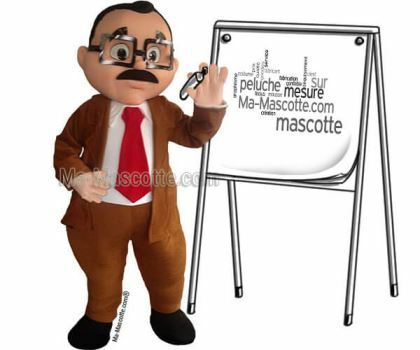 Custom Made smiley OPTICIENS MUTUALISTES Mascot Costume (custom made object mascot). 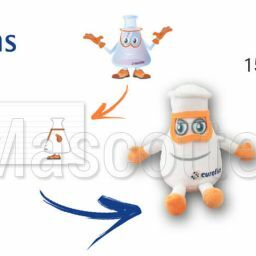 Custom Made Plush Toy laboratory EUROFINS (custom made object plush toy). 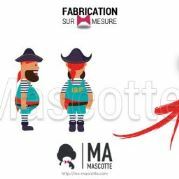 Custom Made pirate SNCF Mascot Costume (custom made character mascot). 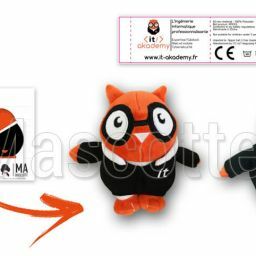 Custom Made Plush Toy owl IT AKADEMY (custom made animal plush toy). 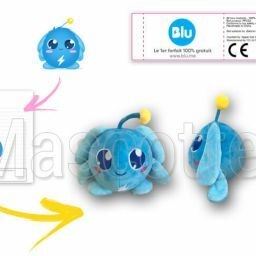 Custom Made Plush Toy blue ball PRIXTEL (custom made object plush toy). Custom Made character BARBA’BLABLA Mascot Costume (custom made character mascot). 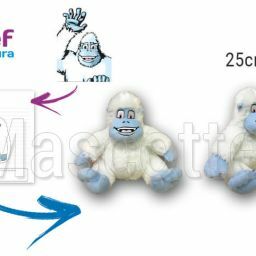 Custom Made Plush Toy yeti MÉTABIEF (custom made animal plush toy). Custom Made pencil IKEA Mascot Costume (custom made object mascot). Custom Made Plush Toy frog CLUB ALPES PYRÉNÉES (custom made animal plush toy). Custom Made happymeal MCDONALD Mascot Costume (custom made object mascot). 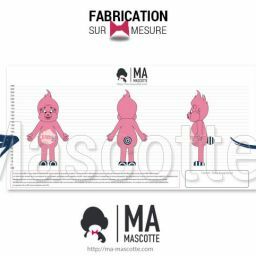 Ma Mascotte is a dynamic company that aims to bring some new breath in the custom made creation of mascot and plush toys manufacturing. 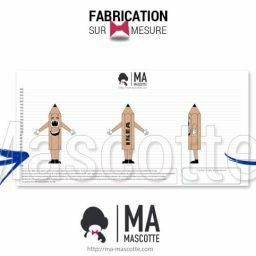 Created in 2011, Ma Mascotte is a French company specializing in the design, development and manufacturing of custom-made professional quality mascot costumes. 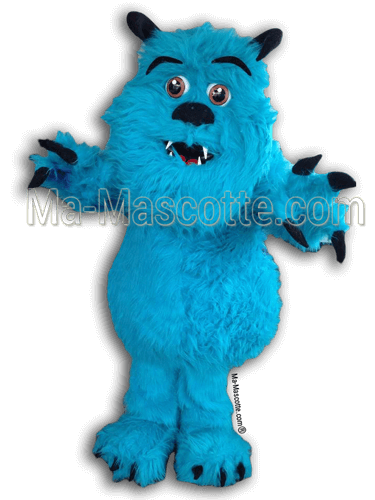 Ma Mascotte now offers new services: custom plush fabrication and promotional items manufacturing . 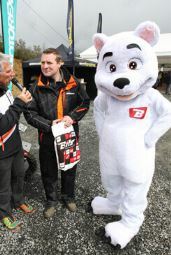 Our mascots and our other product lines are used for all kinds of events : advertising, marketing and commercial. To promote a business, product or service, you need to advertise to reach as many people in its activity area. Your custom mascot will bring real solution in your marketing campaign. Through a strong competition, it is essential to stand out from its competitors. Your custom mascot will create and develop your visual identity in an innovative way. 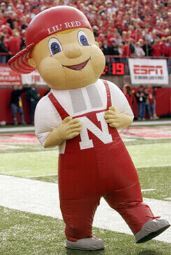 Your mascot will help win new customers and retain them by joining your image embodied by the mascot. The initial investment of the mascot can reach a wide audience (children and adults) because your costume will be seen by hundreds or even thousands of people at events or on social networks for example. Consequently, mascots and custom stuffed toys are a great way to build your brand and differentiate from other companies. Ma Mascotte is here to address this need and provide a solution. 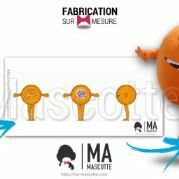 Ma Mascotte offers a real support service in your project from graphic design to manufacturing and delivery to you or your customer. 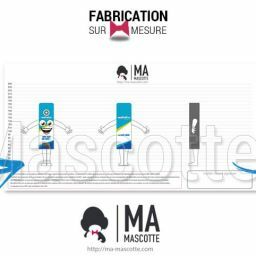 For creation of your custom made mascot costume, you can choose between custom “classic” mascot manufactured in different foams and fabrics or the inflatable mascot (self-ventilated mascot). If you want to have more information on these models, please visit here: comparison inflatable mascot vs classic mascot costumes. 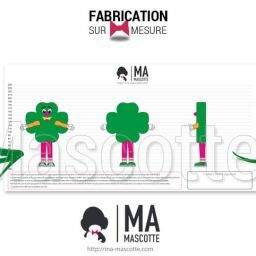 Ma Mascotte also accompanies you in the life of your mascot costume with tips, cleaning products and a mascot repair service. 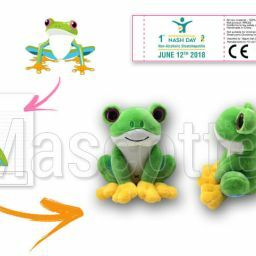 Beyond the design of mascots, we offer a range of attractive promotional items to boost your advertising: custom made plush, figurine or key chains according to your needs and desires. 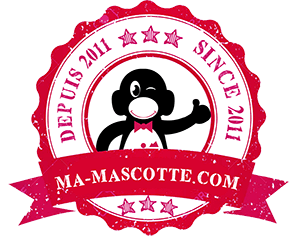 With Ma Mascotte, you have the best quality / price of the web.